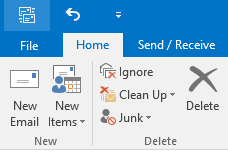 In Outlook 2016, right-click on the Clutter folder and select Manage Clutter. 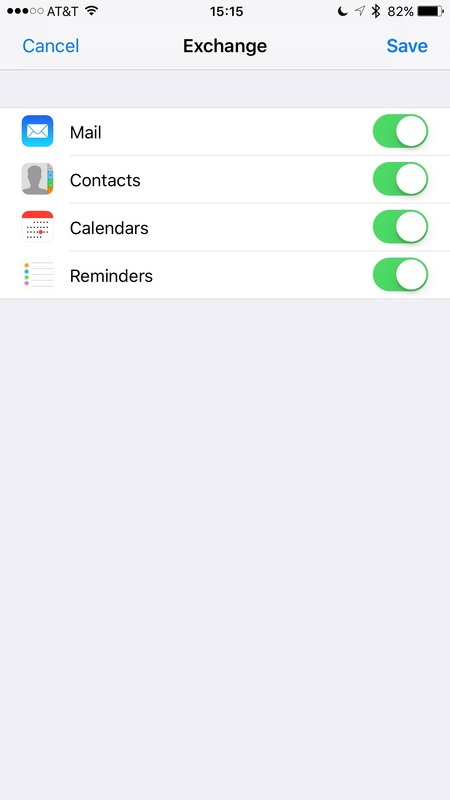 If you don’t see the Manage Clutter option, you should try turning off Focused Inbox first. 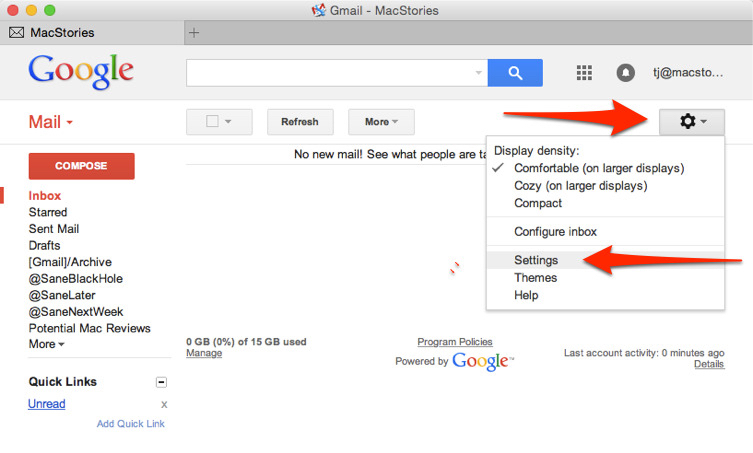 At the top of the page, select Settings, and under Your app settings, select Mail > Layout > Focused Inbox. Choose Don’t sort messages. 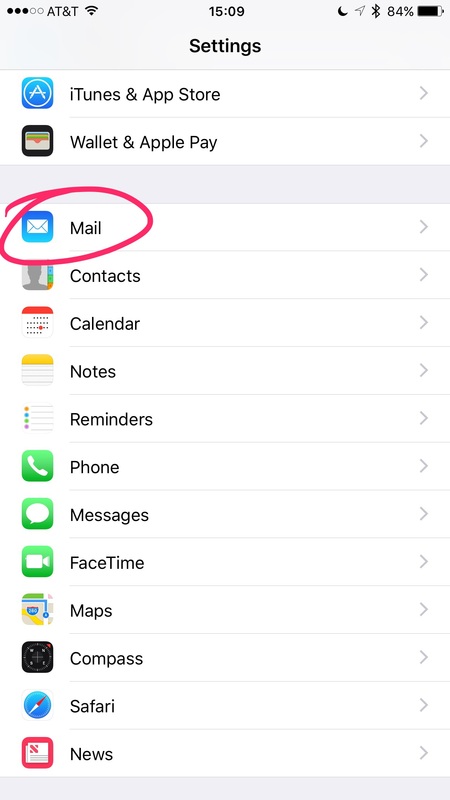 At the top of the page, select Settings, and under Your app settings, select Mail. Either uncheck the box Separate items identified as clutter or select the option Don’t separate items identified as Clutter, depending on which option you see on the Clutter options page. You can view Microsoft’s instructions on how to turn Clutter off and on, as well as how Clutter filters messages and how to view these messages. 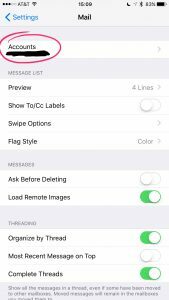 If you read messages, they won’t be classified as clutter in the future. To read more about this issue, refer to this update on Microsoft’s plans for Clutter and Focused Inbox. 1. Right-click on any message in your Inbox and point to Junk, then to Junk E-mail Options. 2. Select the Safe Senders tab. 3. Click Add and enter the email address desired. 5. You might also want to check the two check boxes in this dialog box. 1. 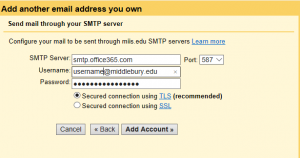 Log into Webmail at http://go.middlebury.edu/mail. 2. Click on the Settings (gear) icon in the upper-right corner of the window. 4. Select Block or Allow on the left side. 5. Click the plus sign (+) next to the Safe Senders and Recipients list to add and email address. 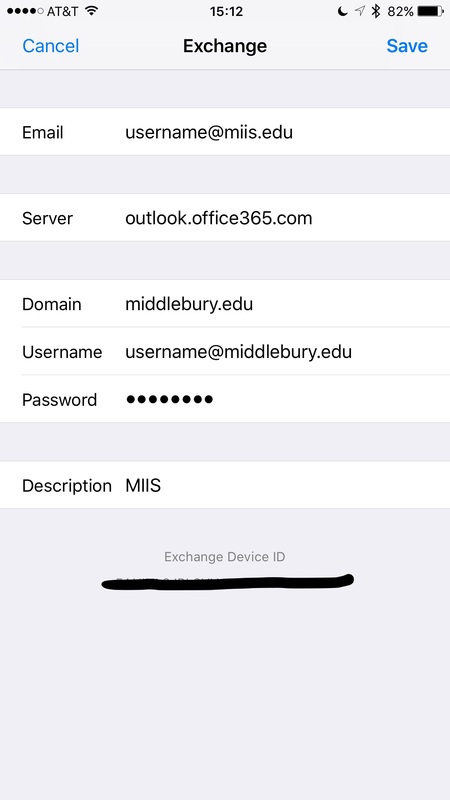 All MIIS faculty, staff and students can download a licensed copy of Office Suite apps onto their personal computer using their Middlebury credentials. How Do I Use Multi-Factor Authentication (MFA)? Multi-Factor Authentication (MFA) is a security technology that helps protect your Middlebury account from potential compromise by requiring the use of more than just a username and password to prove your identity during login. 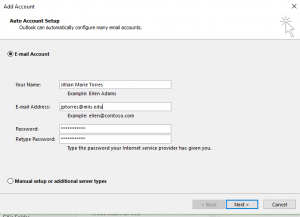 Follow the instructions below to configure Outlook on your laptop/computer to send and receive MIIS emails. 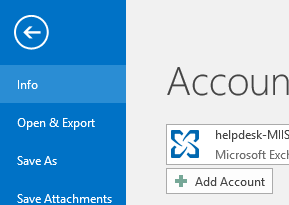 Skip steps 1-3 if you’re launching Outlook for the first time as it will automatically ask you if you want to create a new account. 2. Click to open the File tab. 3. From the File tab, click Info and then click Add Account. 4. 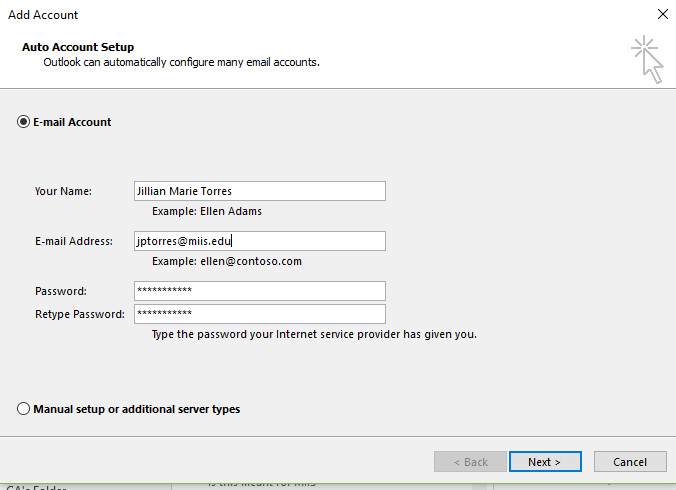 When asked if you want to set up Outlook to connect to an email account, select Yes and then click Next.The Auto Account Setup wizard opens. Enter your name, your email address using your username@miis.edu, and your email password. Then, click Next. A pop-up will appear for you to login to the Middlebury mail account. 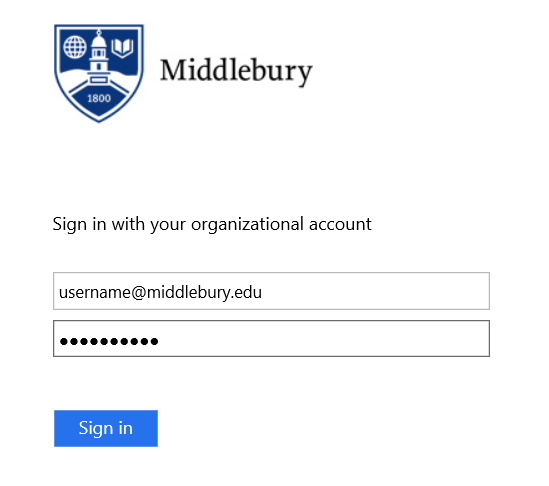 This time, input your username@middlebury.edu, and your email password, then click Sign in. Remember to change it to @middlebury.edu. 5. Outlook will complete the setup for your account, which might take several minutes. 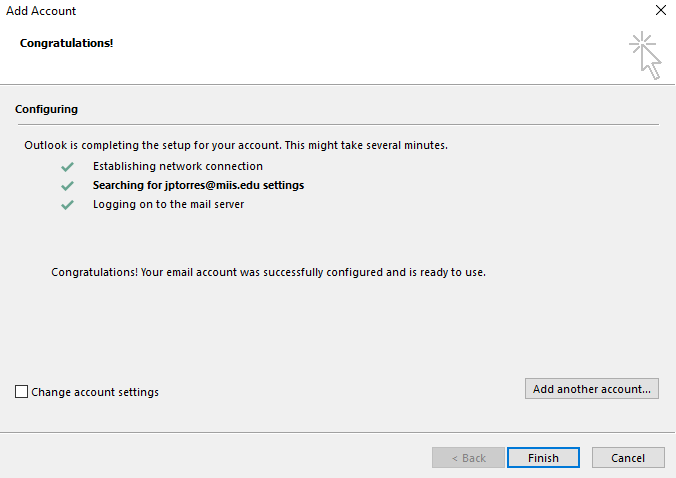 When you are notified that your account was successfully configured, click Finish.You may need to restart Outlook for the changes to take effect. 7. When all else fails, use Outlook Webmail. GoldFax allows the MIIS community to send documents to an external fax number using the cloud. In essence you are emailing your document to GoldFax and they are faxing to the desired number. The video below shows you how to fax via email or using one of our on-campus printers. 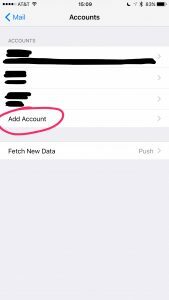 How do I add my MIIS email account to my iPhone, iPad, or iPod Touch? For the best results, we recommend that you update your iPhone, iPad, or iPod Touch to the latest iOS. At this time, the latest is iOS 10. For more information on updating your Apple products, please refer to Apple’s support article. 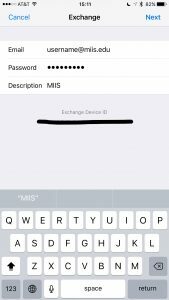 Following the steps below will help you set up your MIIS email on your iPhone, iPad, or iPod touch. 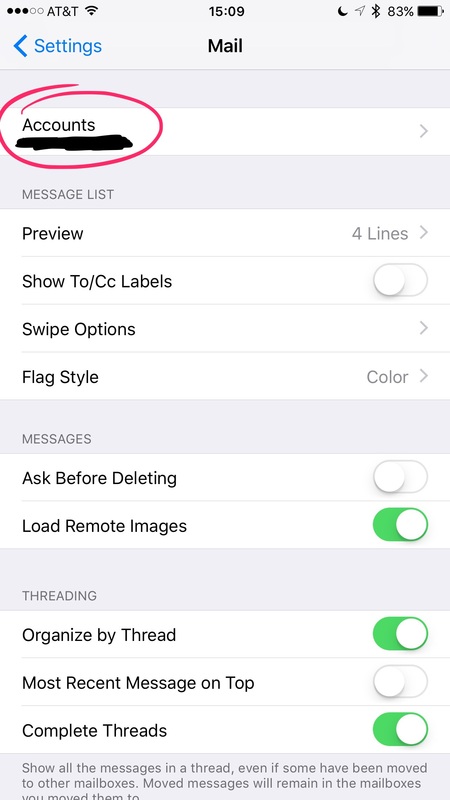 We have included screenshots from setup on an iPhone, but the process is the same for the other devices. 1. 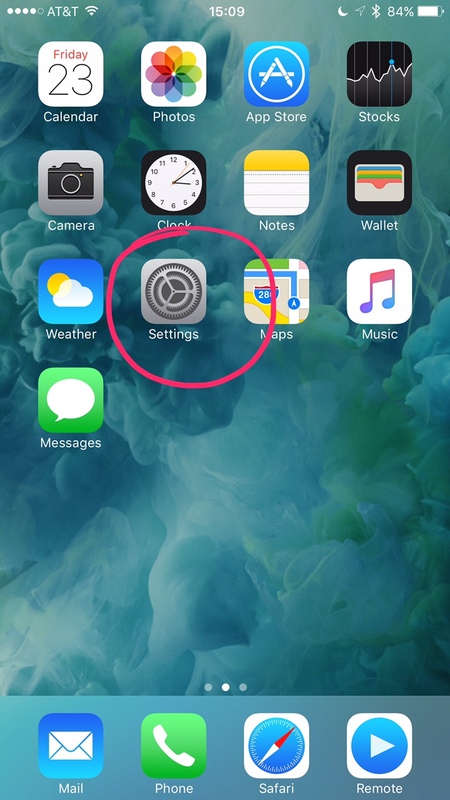 On the Home Screen, tap on the “Settings” icon. 6. Enter your email address and password. On this screen, you may use @miis.edu for your email address. 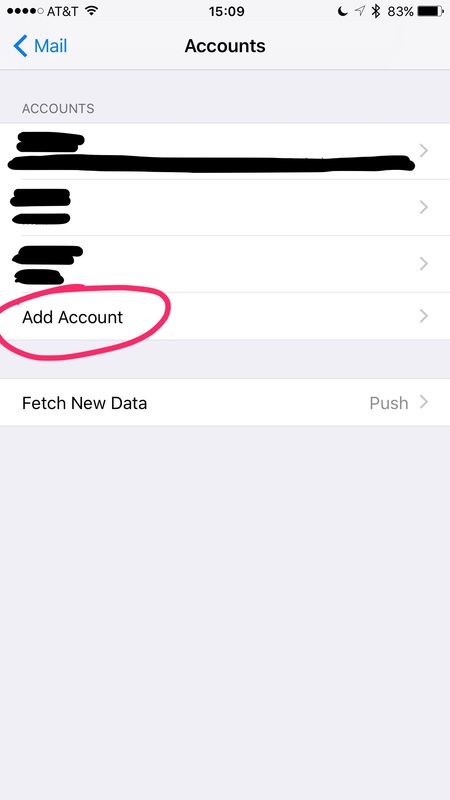 The Description field is specific to yourself and merely allows you to differentiate between your accounts in the Mail app, so choose something that will help you do that (e.g. “MIIS” or “MIIS Mail”). Tap Next. **The “email” field is the reply-to address, so this is the address others will see when you email them. So depending on whether you prefer to use @middlebury.edu or @miis.edu, use your preference. The username field MUST be @middlebury.edu. 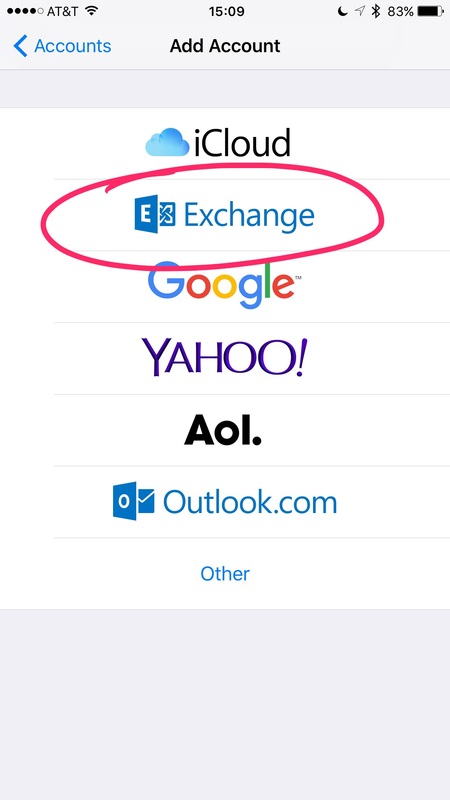 Tap Save, and the settings will be verified with the Exchange server. If you get an error message, check the details you have entered. 8. 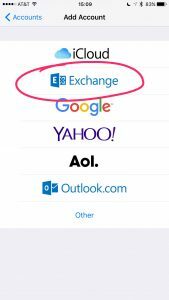 Select whether you want just your Mail to be synced on the device, or also your Contacts and Calendars (if you have any on your MIIS Exchange account). 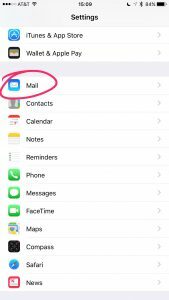 **Unless you keep an up-to-date list of contacts in Outlook, you should not synchronize contacts because your existing contacts on your iPhone, iPad, or iPod Touch will be deleted. The same goes for your calendar. 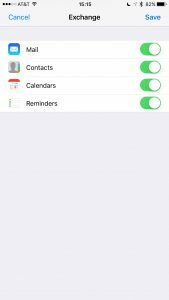 If you use your device’s calendar to organize your schedule, you should not synchronize your calendar. Tap Save. If you have any further questions, please contact the ITS Help Desk at helpdesk@miis.edu or (831) 647-6656, or come visit us on campus in Casa Fuente 320. 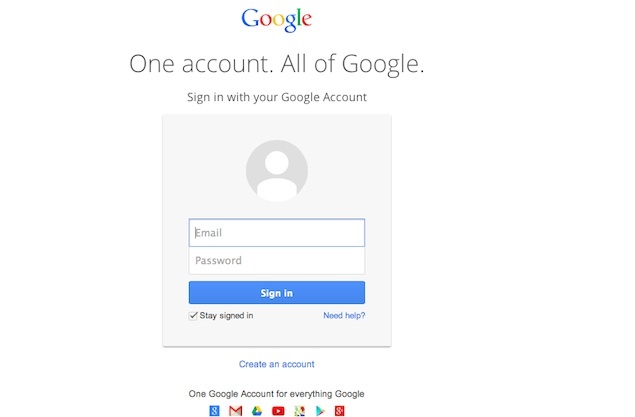 Disclaimer: We provide these steps as a convenience to those who prefer to use Gmail as their email interface. If your MIIS email password expires, or if you change it – you are responsible for updating your Gmail account with your new credentials. 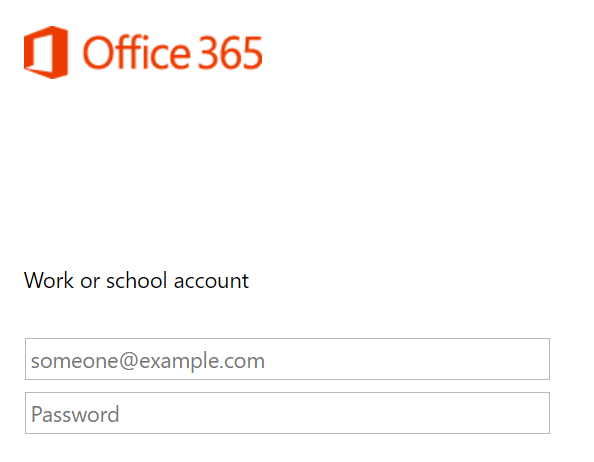 ITS Helpdesk supports Microsoft Office 365 for its users and it’s expected that those choosing to use Gmail or another service will be responsible for maintaining authentication to that service. 3. Find the item titled as “Send mail as” and then click “Add another email address you own”. 4. 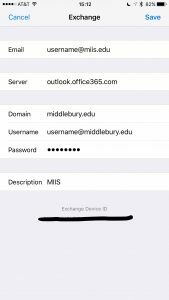 Now you can give this account a name and add your MIIS email account as: username@middlebury.edu Then click “Next Step”. 5. 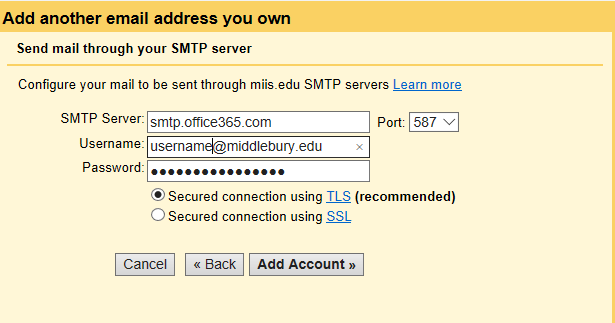 Put in “smtp.office365.com” as the “SMTP Server” and “587” as the “Port”. Your username and password for the MIIS email should be put there too. Then select “Secured connection using TLS” and click “Add Account”. 6. 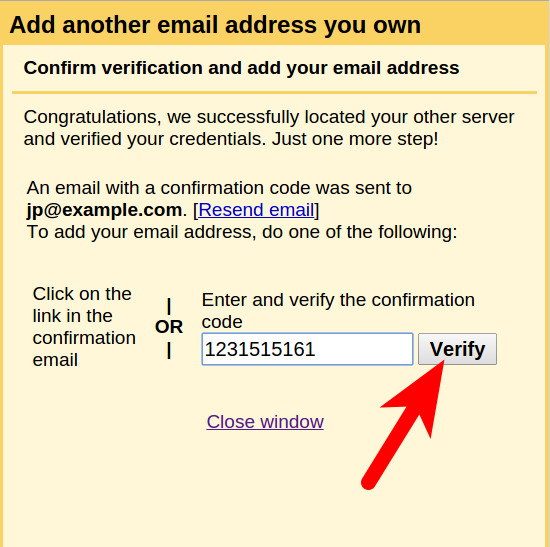 Within several minutes, you should get an email from gmail with the verification code. You can either click on the link in the confirmation email or enter the code. 7. Now……………TA-DA! Your MIIS email address should show up underneath your gmail address. You can select which email address to send mails from next time you log in to your gmail account now! 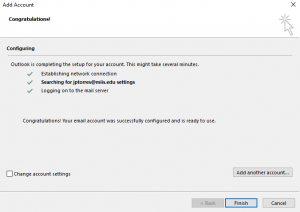 How do I access (log into) my MIIS email? PLEASE VISIT HTTP://GO.MIIS.EDU/OUTLOOK TO ACCESS YOUR MIDDLEBURY EMAIL. 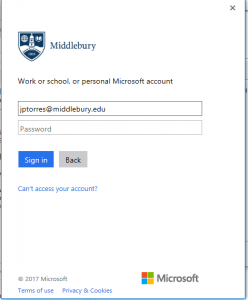 Login with your middlebury.edu email address, which is the same as your miis.edu address. Just replace miis.edu with middlebury.edu. Use the same password you currently have. 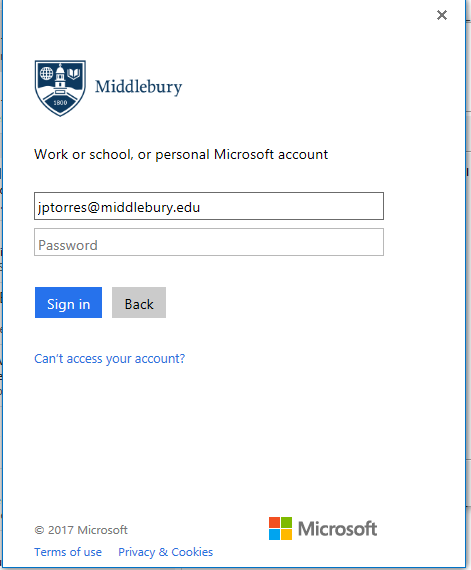 It should redirect you to a Middlebury login page. 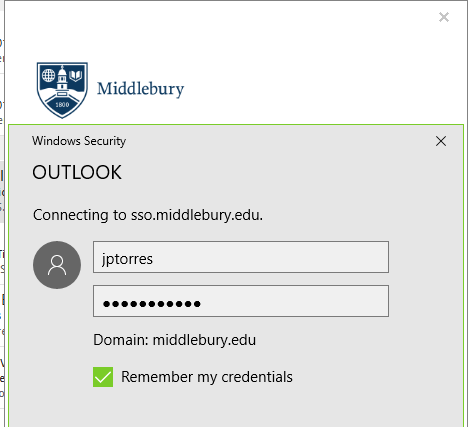 If not click this link https://outlook.com/owa/middlebury.edu. Enter your Middlebury email address (username@middlebury.edu). 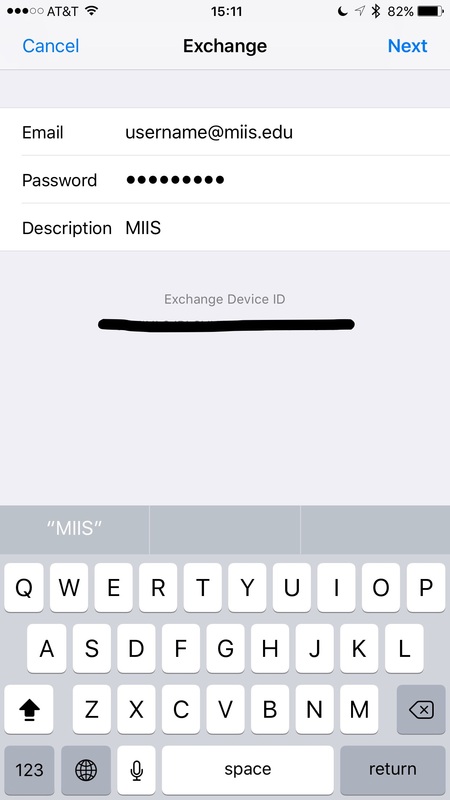 Do not use ‘@miis.edu’ for your email address. Then enter your current email password. If you haven’t set up, or you forgot your password, PLEASE READ how to activate (or reset) your password. How can I add more space to my MIIS email? Unfortunately we don’t have the resources of Google to allot additional space for all who ask. We encourage people to manage their email by removing or archiving. Here are instructions on how to create a storage folder in Outlook 2010 for Windows, to which one can move messages out of the quota space but still have them available in outlook. Here’s a good resource for Mac Outlook 2011. These two methods demand minimal attention to filing and decision-making. Please contact or visit the ITS Helpdesk if you would like assistance with archiving your MIIS email.